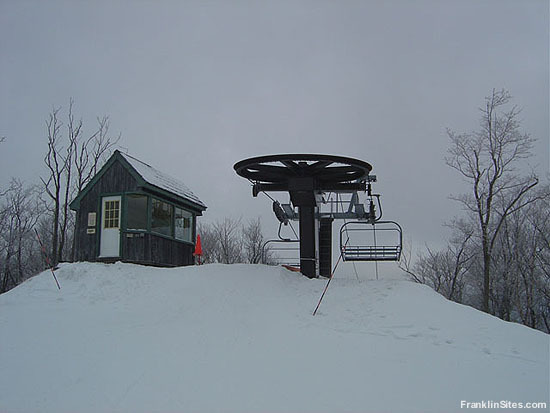 With increasing popularity in the 1980s and 1990s, as well as upcoming real estate developments, Jiminy Peak sought to spread out skiers. A 10 year, $10 million expansion was planned starting in the late 1990s. 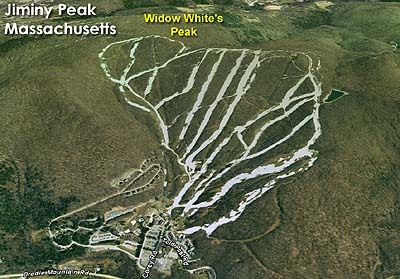 In 1998 an eastern subpeak of Potter Mountain known as "Widow White's Peak" (named after a previous landowner) was opened. While the new 3,005 foot long Garaventa CTEC quad would serve 902 vertical feet, less than half of that was net new terrain, as the lower portion of the complex would use existing trails. 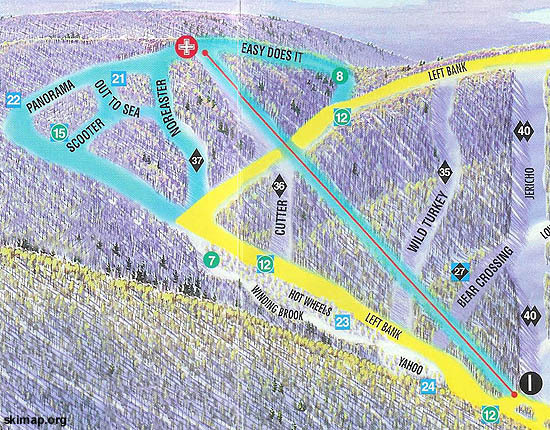 Five new trails were cut from the top of the peak and billed as a "30% more terrain" expansion. 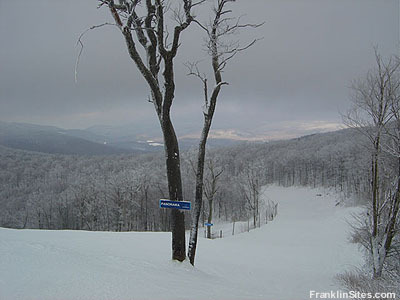 While generally intermediate in nature, the peak has not enjoyed as much usage as other Jiminy Peak trails. Two years later a high speed detachable six person lift would be installed to the summit, making the fixed grip Widow White's chairlift seem quite slow in comparison. In addition, Widow White's Peak was not lighted, thus preventing the thousands of night skiers from using the complex.